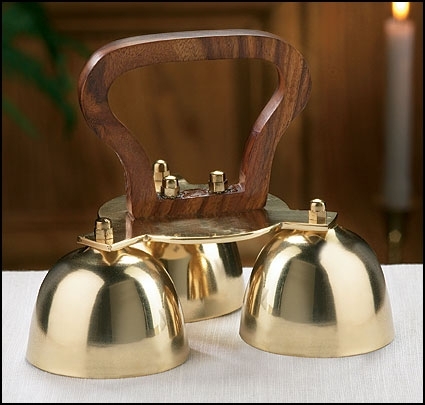 The three-bell altar bells are made of brass with a high polish finish and feature a wood handle for easy handling. All three bells are the same size, and they are provided with one bell clapper. The bells create a sweet high to mid-range tone when rung.